The school field is an ocean of bodies, bobbing and stretching. Weathered sinewy adults and bouncy excited children. Is this what 750 people look like? I’m as nervous as they are. More nervous. I’m the reason they are all here. The sun is shining and it is the Saturday before the London Marathon in April 2007. Two years earlier, the High Street was closed and we were all standing in the middle of the road. My tummy was fluttering and my limbs were chilly. “I’ll start near the back of the pack as I’ve never done this before.” I told myself that no-one was looking at me in that crowd. Me, in my unfashionably baggy shorts – all the other ladies seemed to be wearing lycra. The smell all around of deep heat had cleared my nose and was now nauseating me. We started to squash forward in anticipation even thought nothing had happened. And then muffled words spewed out of a megaphone and we were off. The ocean of people is lapping round me and asking me questions “Where’s the start?” “When’s the briefing?” I’m drowning! I seem to be the only fluorescent bib on the field and they are closing in on me. And my marshals, nervous too, are phoning me in relays to tell me they are ready out on the course. I glance at my watch and scan my plan, pages going crinkly in my sweaty hand. I need to get out to the start area. The start is prepared and here comes the flood of bodies, warmed up, briefed and raring to go. “Three, two, one, go” and the 10k runners surge past in a long stream and the 4k runners drift up to the line. Keen teenagers, a sea of blue race t-shirts, in the front row; unfit mums and dads, running for the cause, linger at the back. The lady in front of me had flapping laces; she stopped to tie them and I overtook her. After about 8k I felt a bit wobbly and walked a few paces but that felt worse. The marshals all smiled and cheered me on. They knew I was one of the last and I needed encouraging. And they knew they had nearly finished their jobs and could go home soon. I feel relief as the starts pass without incident or drama. But in less than 20 minutes the 4k runners will be finishing and I need to make sure it’s all set up. The funnel of red and white tape leads the runners past computer timing to medals, a bonanza of goody bags and a forest of bananas. Another flight of marshals is standing by ready for the tidal wave of finishers. Meanwhile, the younger children’s fun runs are rolling along on the running track. I can hear the PA system echoing around the field as the little athletes collect their prizes. My final 500m felt good although I had to push my way past early finishers walking home. I felt tearfully euphoric as a finishing marshal urged me across the line before the clock ticked on another minute. Someone thrust a bottle of sports drink in my hand and I downed it in one. It’s high tide on the school field again. My ocean of faces is smiling now. They are finding their friends and family, comparing their times and telling their stories. Waves of clapping are crashing all around me and I’m beginning to rise on the positive vibes. The marshals are drifting back, and I’m hugged and hand-shaken. They tell tales of grateful runners and a morning well spent. They bring back the luminous flotsam of signs and bibs, netted with red and white tape. I’d done my first 10k. I hadn’t trained for it – I didn’t even know about training. My result was a triumph of determination over preparation. It hurt for 9.5k but I wanted to do another one. I also knew that the marshals had done more than show me the way – they had got me round. My marshal’s pile of flotsam grows as the runners and helpers disappear – quickly like the tide ebbing over a flat sandy beach. 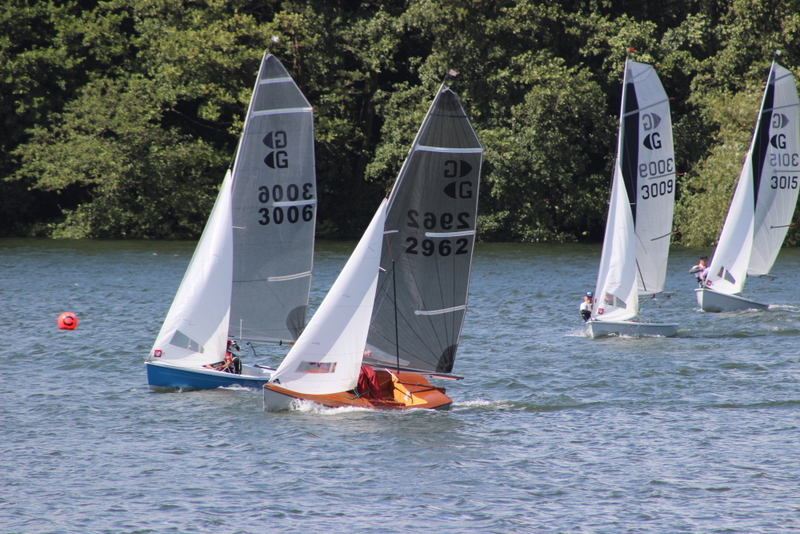 Six months of risk assessments and planning meetings, e-mails and talks with the aristocratic landowner to set this up: and the races were all over in a splash. It’s just two years since I’d run my first race, and today I’d organised one – a 10k, a 4k and a fun run. 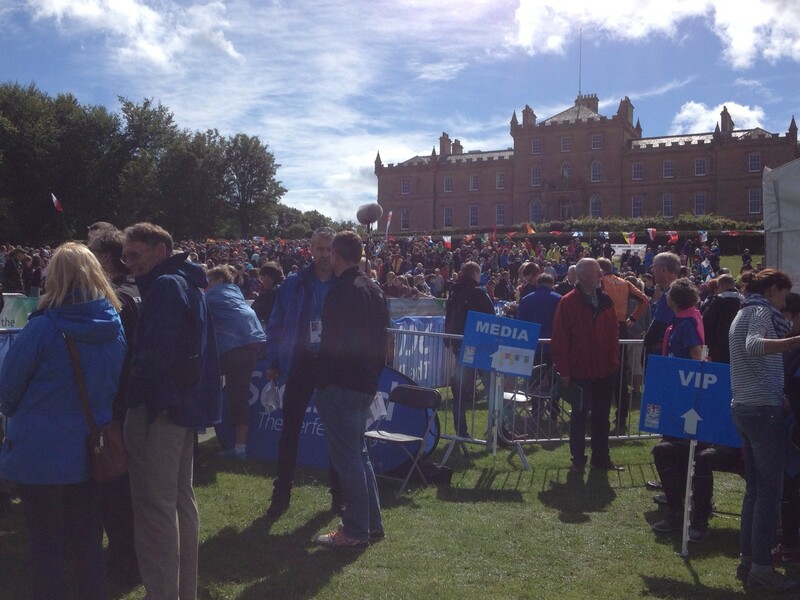 I’d brought together a team of 75 to make it work – and 750 people had gone home having had a good time. I was running on top of the world. “Congratulations to the organisers and army of volunteers who helped make this happen” Dougie Vipond, The Adventure Show, BBC2 Scotland. 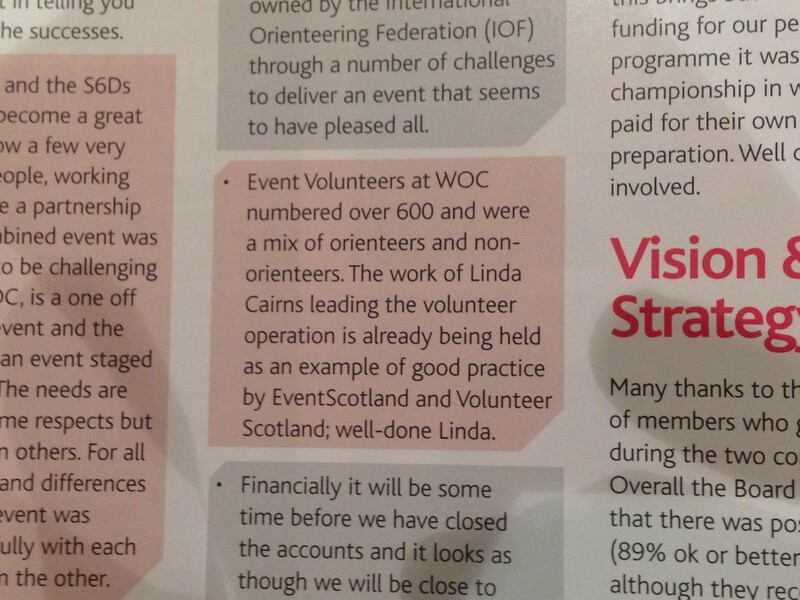 He was referring to the Event Team of 700 volunteers who have just delivered a Home World Orienteering Championships. A Team that was put together specially for this complex, week-long event that was broadcast live on TV. It was also held in parallel with the biggest ever Scottish 6-days making this the biggest and highest profile orienteering event ever staged in the UK. 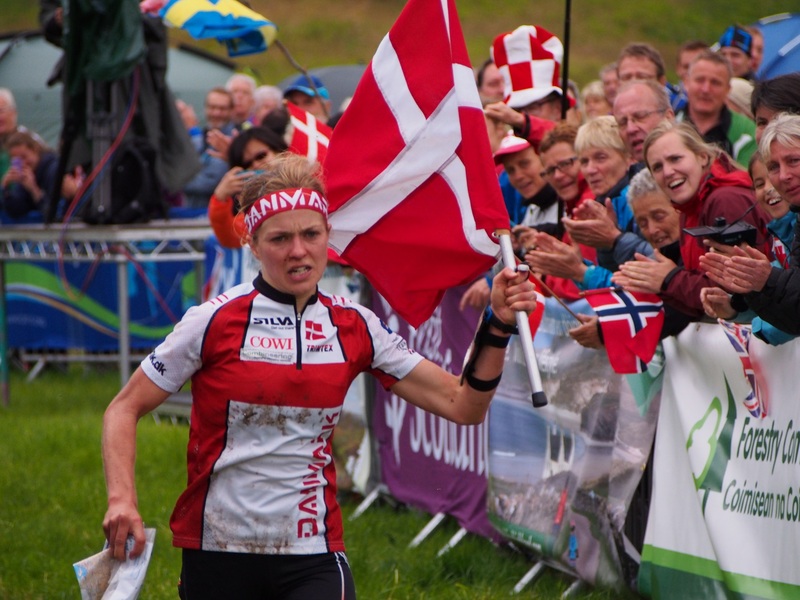 In May 2012, British Orienteering’s Dave Peel, recruited me into the post of WOC2015 Volunteer Manager, as a volunteer, because he could see that the team needed experience from other major sports events. 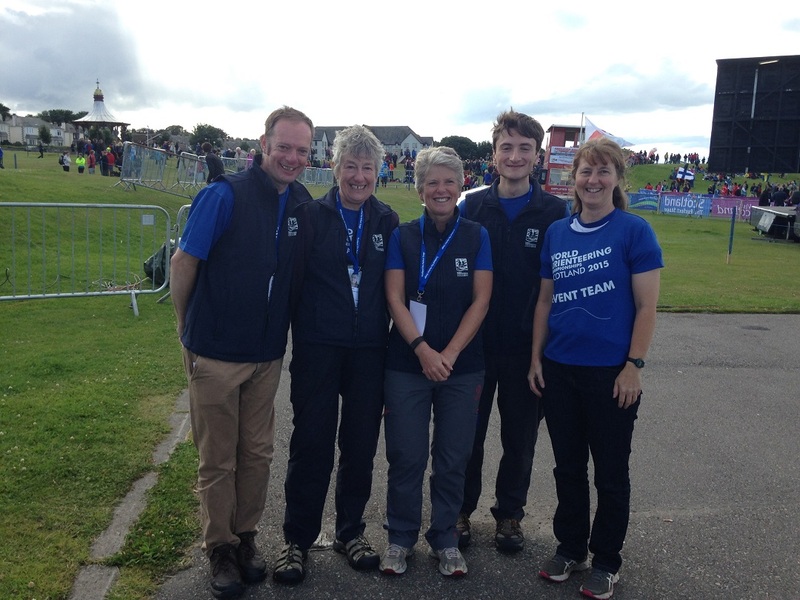 My brief: Recruit a workforce to deliver the World Championship and support the Scottish 6 Days in a remote part of the UK using volunteers from outside of Scotland, and ensure that most of the orienteering volunteers can take part in most of the 6-Days. My induction came at WOC2012 in Switzerland. Here I learnt about silent starts and sponsors, quarantines and TV demands and strict International Federation Protocols that govern a World Championships. The London Olympics came soon after WOC, and my role as a Team Leader in the Aquatic Centre was a welcome inspiration. We started by defining roles, identifying what could be done by people without orienteering experience, and recruiting and selecting the right people for different jobs. 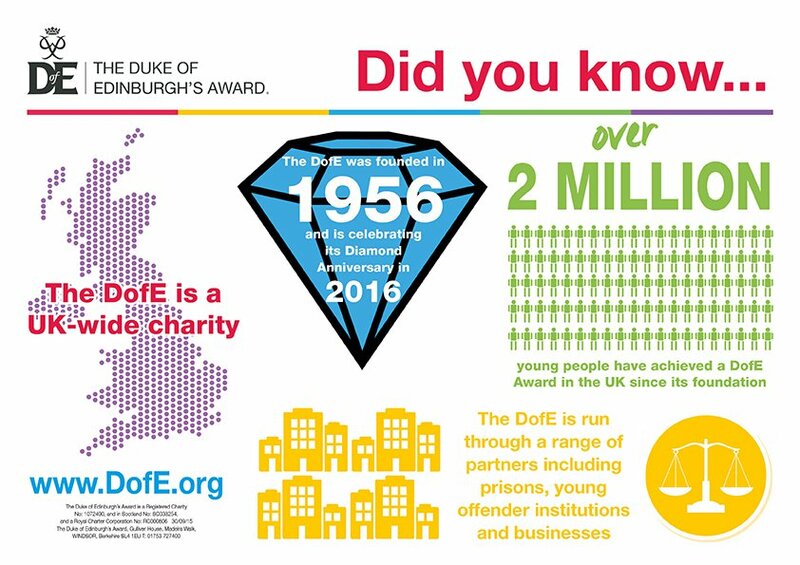 We had to develop our own recruitment and communication systems and I am grateful to Paul Frost, the SOA Web Developer, who helped me build a very effective volunteer recruitment website which was integrated with MailChimp for our sign-up and communication systems. I also promoted opportunities on the Volunteer Scotland website which enabled us to attract Commonwealth Games volunteers. 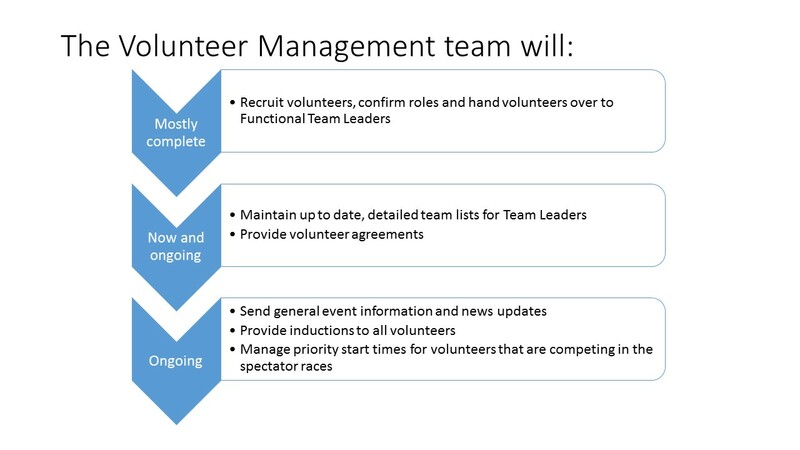 Of the volunteers, 120 came from outside of the sport of orienteering to do roles like sprint control marshalling, minibus driving and arena building. 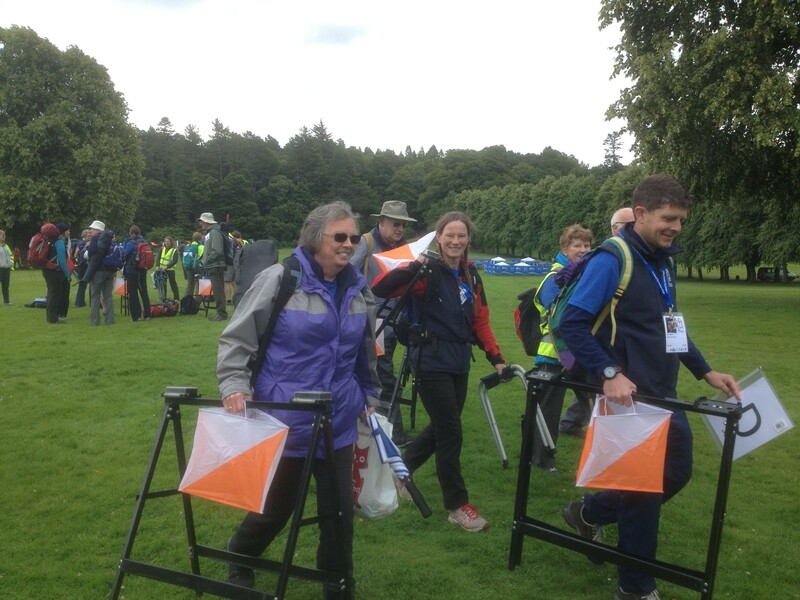 580 were orienteers from all over the UK and Europe. Everyone needed to understand the scale of the World Champs and the orienteers needed to see how it differed from regular multi-day events. As nothing existed, we developed our own induction and training resources including videos from footage we’d recorded at previous WOCs. We wrote comprehensive briefing instructions for control marshals to make sure they didn’t jeopardise the integrity of a sprint race. We also produced safety and social media guidelines. 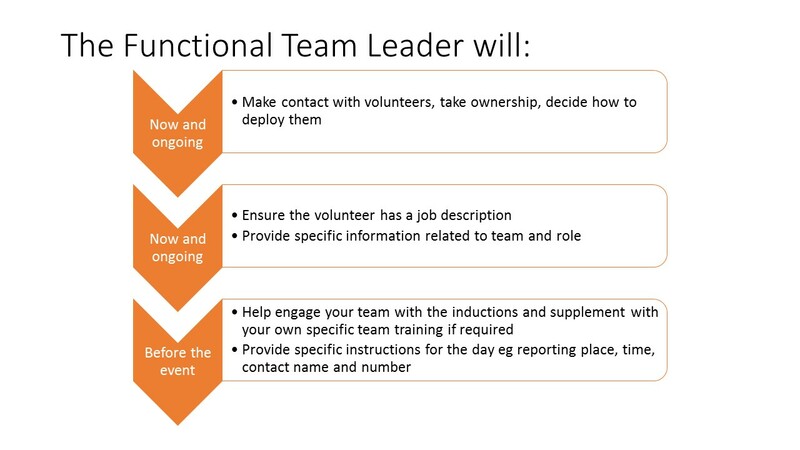 My team did some clever stuff with MailChimp to produce team and key contacts lists, and to send tailored, personalized messages to each volunteer, reminding them of their team and role and including relevant inductions. These tailored communications helped us achieve a 100% turnout of volunteers on the day. 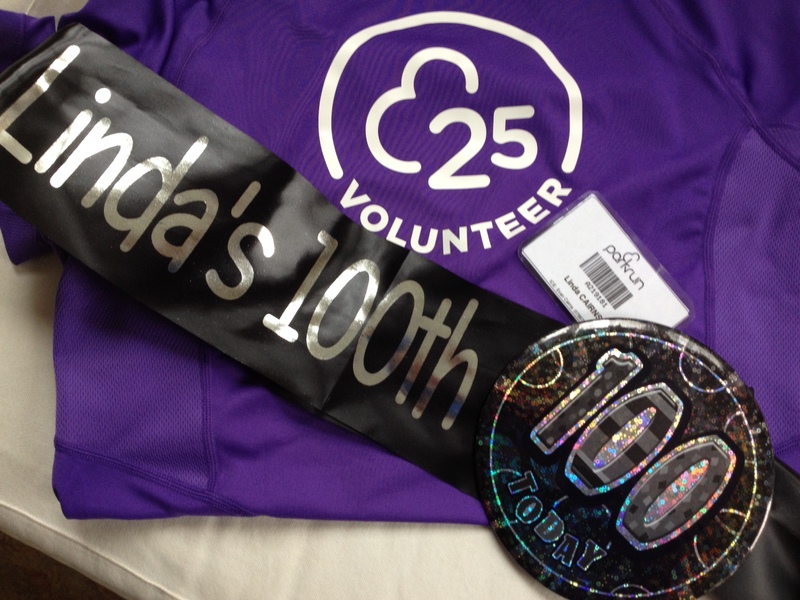 All of the Event Team needed uniforms, photo accreditation passes and lunches – a significant undertaking. We also identified some unexpected obstacles which were extra challenges to overcome. Helping volunteers find affordable accommodation – we organised a homestay system. Overseas volunteers needed help with transport – we organised lift-sharing. 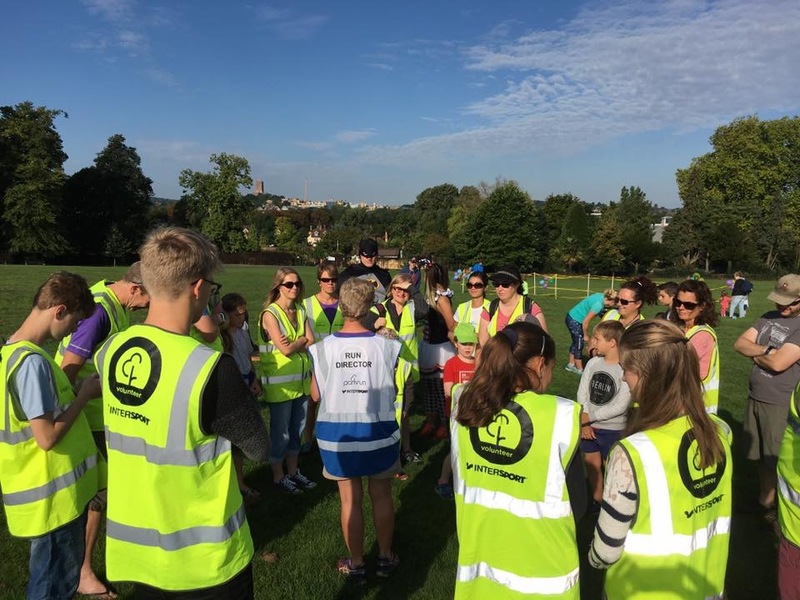 Preparing non-orienteers for the vital role of sprint control guarding – we held a marshal training evening for local volunteers and it was a packed house. We worked closely with the 6-days to ensure that orienteers could have start times that were compatible with their WOC jobs. And there was one challenge that defeated us right until the end – providing helpful travel instructions to volunteers without breaking strict embargo rules of orienteering which keep map and location details strictly confidential until days before the event. Minority sports can benefit from volunteers that are not involved in their sport. 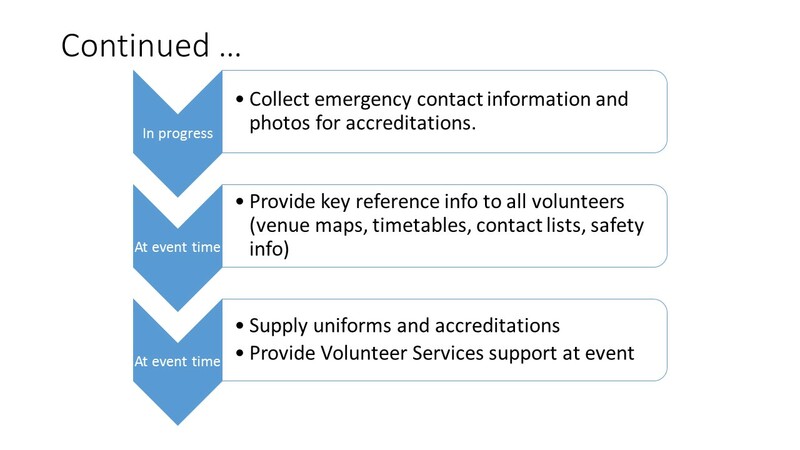 For orienteering, volunteers such as local runners, D of E students, and increasingly “Event Volunteer Tourists” can help at big events. And there are well established routes to recruiting them – like www.joininuk.org #BigHelpOut. But it takes an investment in time and the right people to recruit and support these volunteers. 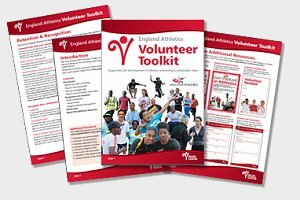 When working with volunteers who are not normally part of our specific sport’s culture we mustn’t forget to really look after them – tell them what to bring, train them and give them lunch. 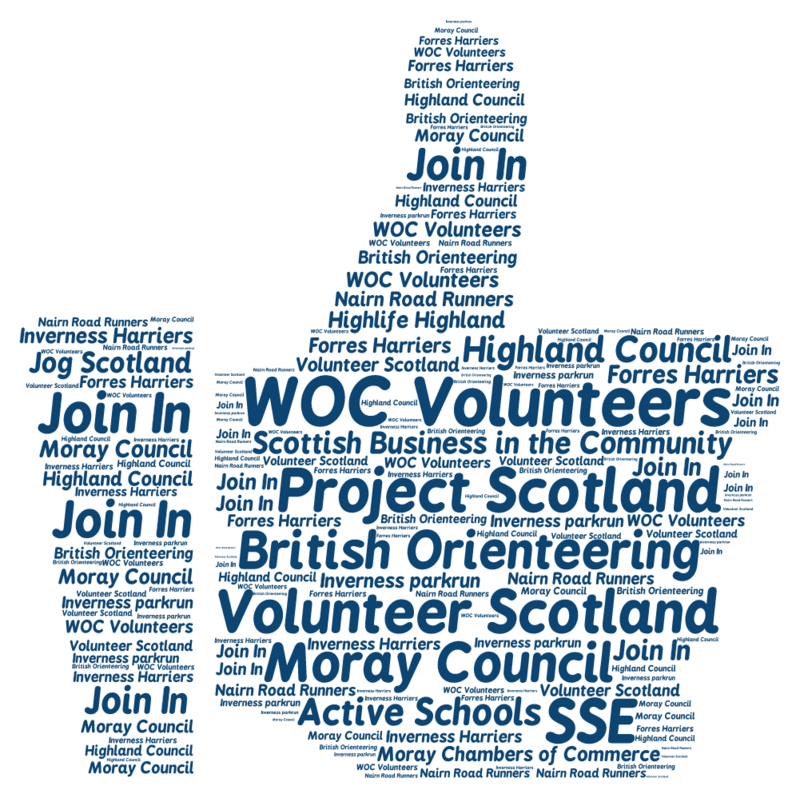 We worked with the Scottish Club Development Officers to offer all the local volunteers – many members of running clubs who had been sprint control marshals – a free entry into events organised by local clubs Moravian, INVOC and BASOC following WOC2015. This was both a thank you and a chance for the volunteers to try the sport that they had seen so closely, for themselves. Thank you and we hope that you were proud to be involved in the biggest and highest profile orienteering event ever held in the UK. To Paul McGreal, Event Director who skilfully and calmly managed a very complex event – it was a pleasure working with you Paul. I believe that we benefited hugely from Paul’s leadership and his experience as ED for Celtman and World Duathlon Champs. I’d also like to slip in a special thank you to my own team of 12, and in particular David Maliphant – Comms; Ann Haley – Data; Terry Williams – Newsletters; Craig Lowther – training. We Skyped every fortnight in the 18 months leading up to WOC and only met for the first time in Nairn.